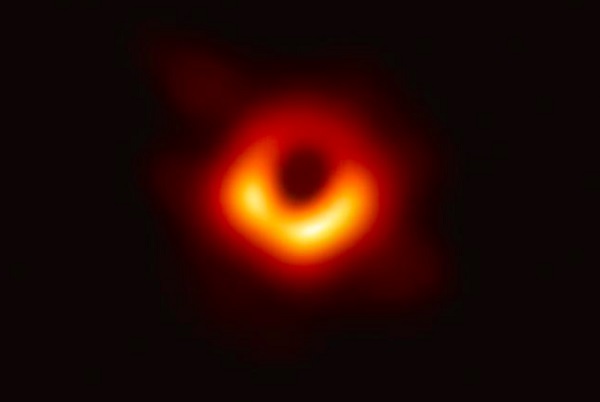 The New Daily has the short story – Scientists share first ever image of black hole, a more complicated explanation at Astronomy, and a really informative one at the BBC. The black hole is located inside the Messier 87 galaxy some 54 million light years from Earth, that’s a mere 500 million trillion km, so what you see is a snapshot of something that happened 54 million years ago. Described as “a monster” it measures 40 billion km across. The first ever close up an image of a black hole was captured by eight radio telescopes around the world spanning six cities on three continents, and involved the work of more than 200 scientists. I heard on the radio that they were dealing with 9 million gigabytes of data. If you think that was floating around on the interwebs, you are wrong. Astromony says, for example, they flew a pallet packed with the hard drives from the South Pole to the Max Planck Institute in Bonn, Germany, and the MIT-Haystack Observatory in Westford, Massachusetts for analysis. I guess that explains why it looks like a donut rather than a fiery ball. The bloke on the radio said it was a marvelous tribute to science that the image looked exactly like what they expected. No-one had managed to see one before. Their existence and size was inferred by the gravitational effect on their surrounds. But exactly what it says about our existence, origins and the nature of reality is still a mystery. The Oz carried a story on Monday saying Chinese state-owned coal power stations putting out tenders for coal are openly preferring Indonesian coal. S&P Global Platts’ Asian thermal coal expert Michael Cooper said, “the traders say there is a political dimension to it”. “The ban on Australian coal has created a lot of disturbance for coal traders, coal users and related industries. But it is more important for China to give Australia a good lesson,” Liang Chengbao, a coal trader for Quan Jun Da Industrial, said. “Australia has been following the United States closely and blindly while it reaps huge profit from Chinese resource buyers. So the ban is not a ban and there is nothing to see- except that everyone can see it. For example, Australian coal is being singled out for environmental tests compared to shipments from Indonesia, Russia or Mongolia. There is no doubt in anyone’s mind that what is happening is related to Australia’s decision to ban China’s Huawei from selling 5G telecommunications equipment. However, Prof Voon said if the WTO were to rule in China’s favour, it could prompt the US to make good on it’s threat to withdraw from the WTO which couldn’t really function without the US. Overall, after the final NSW Legislative Council preferences distribution this morning from the March 23 state election, the Coalition won eight seats (taking their number to 17), Labor won seven seats (taking their number to 14), the Greens one (three), the Shooters Fishers and Farmers one (two), One Nation’s Mark Latham two, Animal Justice Party one (two). The Christian Democrats have one seat, with Paul Green missing out. Justin Field moved from the Greens to sit as an independent after the election. If the Oz story is pay-walled, there is an AAP report in The Guardian. 4. Will Israel Folau get the flick? Izzy stoked controversy again by posting a message on his Instagram account that said “hell awaits” “drunks, homosexuals, adulterers, liars, fornicators, thieves, atheists and idolators” — adding they should “repent”. “When Israel Folau posts something like that, I couldn’t care less. It doesn’t hurt me, because if I allow myself to be hurt by something like that, then I’ll go insane. I’ll have to live in a cave. “It would have hurt the 17-year-old me for sure and that’s why I agree with them (Rugby Australia) being so tough on him. “But when you’re on the end of real homophobia, really, really tough stuff, which I have been in the last few years since I’ve been out in my job … what Israel Folau says doesn’t hurt me. Folau doubled down on his statement – see ‘I’m more than happy to do what He wants me to do’: unrepentant Folau in the SMH who went to church with him. Apparently God wants him to speak up about what is right. Of course, Folau means no harm, he’s only trying to help people, and bear witness as God wants him to do. The latest – Israel Folau issued with Rugby Australia code of conduct breach notice, given 48 hours to respond. Rugby League don’t want him back. There may be opportunities to play rugby union in Japan or France, and former player Tim Horan suggested Izzy may have engineered his own sacking to do just that. I think that underestimated his sincerity. It has been suggested that Folau has grounds for legal claim against religious discrimination, say experts. Personally, I’d just ignore what he says, rather than put accelerant on it by making it into a huge issue. Ironically he’s acting out of love rather than hate, but in the current climate that gets lost. I don’t think what he’s done amounts to “bullying, harassment or discrimination”. …Chinese state-owned coal power stations putting out tenders for coal are openly preferring Indonesian coal. Perhaps the recent thermal coal import restrictions are a ‘shot across Australia’s bows’ from China to say “don’t mess with us”? Face it, if Australia ceased production and use of all fossil fuels immediately, the difference would be tiny for about a month before the rest of the of the World makes up the difference. Spend your efforts where they may make a difference, or waste your time making no difference at all. Jumpy, are we to take it you are arguing the Galilee Basin should be mined to exhaustion? For the record I, and I gather most of the commenters here, would answer no. I’m not responding to you any more. Every comment you make is directed to me, about me, disingenuous and combative. You being a self confessed racist is bad enough but I don’t think I’m helping your issues by what I’ve concluded as unintentionally encouraging by responding. You need to talk to a professional Dude. And you need to get that paranoia checked. Joseph Pulitzer warning against the cancer that is Rupert Murdoch. An able, disinterested, public-spirited press, with trained intelligence to know the right and the courage to do it, can preserve that public virtue without which popular government is a sham and a mockery. According to the Guardian Australia Judge Vasta has found the sacking of Prof Peter Ridd unlawful. Re China, I think there is a story about mice and elephants. We need to take them seriously. I think the problem started with Turnbull, when he started quoting their national hero in godawful Mandarin. I think I’ll wait to see whether there is any learned comment. Here is an unlearned comment: look to the tone of the modern Australian campus. There, the university is competing for students to enrol and earn income for the institution. This can lead to a focus by management on PR, such that “spin” is raised to a high if not predominant position in campus/society relations. Many institutions these days seem from the outside to have such a focus (not only universities); in addition to advertising for regular commercial firms, there are: State depts, quangos, charities etc forming a conga line of spin. “Australia Post” a few years ago proclaimed “we deliver “. Why? To what purpose? To what social benefit? Fit In or Go Away. I have seen this and discussed it with academics. Each of them had their own limit they maintained. In olden days it was described as their “conscience”. Each entered the field with a commitment to truth and free enquiry. Some Fitted In. Others Went Away. And while this shabby process continues, sometimes called “corporatisation of the university”, individuals and departments and support staff just get on with their vocations to educate, encourage, assist, and guide some of the brightest and most resilient young folk you could hope to work with. And to ignore as much as possible, in their everyday work, the BS merchants and fibbers. I thought, good I’m at the right place. The words are still there. Everything has been commodified, even ‘truth’. Last night I heard Peter Varghese talking to Tom Switzer about relations with China. Varghese is currently chancellor at QU, but has impressive quals and experience on Asian relations. He said the relationship with China was going to become more difficult in the future, and that we’ll be put in the situation where we have to make choices. Switzer reminded us the Julie Bishop said in a speech in Singapore, June 2017, I think, that China would never be a great power until it became a democracy. Varghese said such statements would have been noted by China, and were likely to produce adverse consequences. It was also historically wrong, because most powers achieving greatness had not been democracies. He did not say this, but China thinks their system of government is superior to that of Western democracies. Thanks for your links to earlier posts, Brian. To be a truth-seeker is a wonderful way to spend our allotted days on the Earth. I dips me lid to you and all other seekers. truth is beauty and beauty truth, that is all ye need to know. ….. I repeat: Utter nonsense. See my earlier response in the earlier thread Final chapter on Adani? that you have (so far) not responded to. But it seems to me that’s your modus operandi when the facts and questions get inconvenient for you. Clearly, it seems to me, facts are irrelevant to you. And what are you doing, Jumpy? Engaging in a ‘head in the sand’ attitude, perhaps? If I go with Dunlop’s figure of 1.3% of World emissions. How long will it take before Chinese and Indian emissions growth gobble that up ? And forget adding in exports, we’ve already established they’ll get it elsewhere. Ohh, and you can drop the nasty condescending school teacher talk, it’s never been effective on me. If “Australia ceased production … of all fossil fuels immediately” the difference would be substantial – that clearly includes exports. So it appears to me that Jumpy is now back-peddling on his earlier statement (as per usual). Please explain how you think “Chinese and Indian emissions growth gobble that up” anytime soon? Do you have growth figures at hand to support your argument, or are you just ‘hand waving’? Can’t handle the scrutiny and inconvenient questions, Jumpy? Dude, you highlighted I said” USE “ not production. Then go on to include Dunlop’s protections that include production. How about go **** ******** and join my list of disingenuous people on the internet not worth wasting time with. Jumpy: The last time I looked Australia plus the countries that emitted less than us were responsible for about 30% of world emissions. (Yep, small countries have to act too.) To make matters worse Australia was near the top of per capita emitters. Well ahead of the worlds big emitters. Your comments to Zoot and GM suggest that you are about to give up on this blog. Am I right? If everyone on the planet thought globally and acted locally we would be in better shape. Then there is the dictum do no harm derived from J S Mill’s harm principle. He emphasises right rather than good as you would expect from a Prussian, but in short we should always act in the best interests of all humanity. Why would anyone argue differently? Long ago, I lost patience with the pompous, grovelling Australian businessmen, bureaucrats and politicians trying to relate to China and to the Chinese. They get absolutely no sympathy whatsoever from me. It is their own failure to plan, their own arrogance, their own wilful ignorance, their own cowardice and weakness and their own silly delusions that have brought all their troubles down on their own heads: the Chinese have merely taken advantage of an existing set of circumstances and given them a twist to suit themselves rather than have initiated any devious and novel circumstances. Even a Bush Kana…. er, …. Gentleman from a remote village way up in the Highlands knows that when you do go to the market, you don’t make yourself utterly dependant on a solitary single customer in that market. Come to think of it, if the board-rooms of Australia were graced by a few observant, clever and bootless gentlemen, wearing ar…-grass and orchid-vine necklaces, Australia’s international trading position might well advance in leaps and bounds. Hell, we couldn’t do any worse that we are doing now. So China wants to punish us. That’s easily solved: we do not allow ourselves to be punished. And we can start that process right now by sending the congenital idiots who got us into this mess “Down To The Countryside” for a bit of “rustication”; put them in touch with the life-experiences and wise opinions of Australia’s own peasants and workers; they can rectify their mistaken ideas through Struggle, (SELF-) Criticism and Transformation. Who knows but after a decade or two of agricultural aroma and honest sweat about themselves, the survivors may be fit for employment back in their old jobs. Back on Folau, the latest is that the matter is proceeding to a Code of Conduct hearing, as expected. Folau’s position is perhaps strengthened because he refused, successfully, to agree with explicit social media restrictions in his contract. Terry O’Gorman of the Civil Liberties Council has criticised sporting bodies who assume that can control the private lives of players. He was in part concerned about Jack de Belin, a Dragons RL player, would has been stood down while some sexual assault charges, which sounded on the face of it serious, are dealt with. There was a player, forgotten his name, who fought sexual assault charges for a bout four years, and in the end was acquitted. In those days the presumption of innocence was available to players. This seems no longer available. I found of interest a ABC Religion and Ethics segment Legal claims surrounding the Folau controversy with Iain Benson who is a law professor and religious freedom expert, at Notre Dame Uni, from memory, an expert on religious rights. He was essentially saying that Folau should be able to express his religious views openly in public without penalty. The position I’m coming around to is that Folau was not even doing that. His comment was made on Instagram, intended for his ‘friends’. Employers, and news media, should not be policing what people write on a private social media account. The argument is that vulnerable teenagers all over the place may be harmed. This is only the case because others who should have no business burrowing around on Folau’s social media account have brought it to their notice. Folau hasn’t done that. Anyhow, it will be interesting to see how it all turns out. The panel Folau will face comprises a nominee of Rugby Australia, one from the players association, plus a third ‘independent’ panelist and he will be represented by an lawyer experienced in these matters. I won’t be surprised if he wins. Brian: Also heard that ABC Radio Religion and Ethics program you mentioned, early this morning.. Very annoyed that the mainstream media did not put Folau’s comments in context at all; nowhere have I seen any mention of there being a quote from St. Paul’s Epistle to the Corinthians. Not only was that omission downright misleading, which is serious enough, but, with an election campaign going on, it makes me – and probably a lot of others – wonder what else we are not being allowed to know. b.t.w. that item on the same program, about a feminist being in agreement with the cloistered Pope, Benedict XVI , on all the downsides of the sexual revolution, certainly blew the slumber out of my eyes. We haven’t heard the last of that topic, that’s for sure. I remember once that Brian said something like he’d like the discussion on his blog being like discussion at a backyard BBQ. I can’t remember a BBQ I’ve ever been to where zoot and GM wouldn’t have been sat on their arse for the way they conduct themselves. Give that consequence is off the table I’ll go to another BBQ etiquette by ignoring them and chat to others. But with all BBQs, if too many get that way it’s time to go. Apparently his redacted words at 6:44 pm April 17, 2019 are quite acceptable at the BBQs Jumpy attends. I will of course try to chat with you. I’ve looked at quite a few projections on Chinese and Indian emissions growth alone, but I’ll go with your trusted sources on what the best guess is. Given that number, if the reasonable folk agree, then we can progress with what I’m saying. Funny, Jumpy, I don’t remember that. By and large I thought the discussion we had on the old LP was pretty good, but there is no profit in pining for that. Good to hear you don’t plan to nick off, Mr J.
Jumpy: Have a look at this set of international emissions data It is a lot more up to date than the set I played around with years ago and Chinese contributions to emissions have risen above the US figure. 1. Australia had the second highest per capita emissions for the top 20 emitters. 2. 21% of total emissions were produced by countries that did not make the top 20 emitters. Conclusion: Australia has no excuse for doing nothing much about emissions. Growth John is what I’m trying to get through. I thought I’d allow you to posit a trusted number on Chinese and Indian emissions growth so we wouldn’t get bogged down with that detail. But no, so I’ll put forward China has a 3.5% rate of emissions growth in just 2018. How many tonnes is that ? Now, how many tonnes in total did Australia emit in 2018 ? And we haven’t looked at India yet. I don’t know why this is such a difference process to discuss. Oh, and that 3.5% realise on the Chinese Bureau of Stats so probably hugely understated. In the industrialising phase of a country, emissions tend to be higher. Look at accounts of the dirty, smoky plumes drifting over Europe especially Scandinavia in the first decades of Britain’s Industrial Revolution. China used to put out stories about its massive reafforestation projects in the mid 1970s, late Mao and early post-Mao periods. These days their smog and their peoples’ bronchial and chest ailments and who knows what else, are notorious worldwide. Even if they drastically reduce the particulates and noxious fumes there will still be odourless, invisible CO2 pouring out. Some of that CO2 helps produce cheap solar panels so I can feel better about reducing my C output. Of course, they could use renewable power for their factories…. Jumpy: We control what Aus does and we should get on with it without waiting for the rest of the world. We should also be getting active at looking to creating products like renewable liquid hydrogen that help other countries reduce their emissions. You also need to understand that a countries emissions are based on production, not consumption. The emissions created producing a countries imports don’t count when calculating a countries emissions. Part of the growth in Chinese emissions is due to the production of exports. Places like the EU look better by letting other countries have the dirty industries. Me I would like a countries emissions to be based on what is consumed within that country from both internal production and imports. So no numbers huh ? It must be either too difficult or youse don’t want to admit if Chinese and Indian emissions growth continues its, as I said, irrelevant what Australia does. In the industrialising phase of a country, emissions tend to be higher. I’ve been told industrialisation can occur and flourish with renewables. Why don’t they choose renewables to industrialise if it is in fact cheaper? Jumpy: Stick around. Sometimes, I feel like leaping through the screen to shake your hand – sometimes, to throttle you – but in any case, you are a sovereign remedy for blandness and a vaccine against group-think, (and, thank goodness, ClimatePlus suffers from neither). Because near the start, methods and materials are less specialised. Local knowledge of local ores, fuels. Building up stocks of capital equipment. Building roads, rail and power pylons. It all takes energy too. Of course a more recent industrialiser can use global knowledge and new inventions. They do. But they’re still up against restraints determined by thermodynamics, properties of materials and engineering progress. We have to make a real effort in the world we inhabit. Utopia? Forget it! John D.: ” Australia has no excuse for doing nothing much about emissions.” Exactly. And the underlying cause of that is not in the realm of the physical sciences but in that of sociology. Despite all the rah-rah about our Anzac spirit, our sporting achievements and all the rest, Australians are, in general, timid, docile, lazy and gullible. For example: we allowed our public transport to be taken away from us, with barely a whimper, or, at least, run into the ground so that we were forced to buy private cars, which, despite their lovely compliance labels, do churn out more pollutants per head/distance than almost every other form of public transport – and so as to build more roads, parking stations, bridges and tunnels, huge amounts of cement and steel need to be manufactured. Even if we stuck to petrochemical fuel and lubricants, the good old (single occupant) “family” car, en masse, goes whole tanker-loads of fuel more than a single full unit of public transport. Singapore, far from perfect, did point the way a quarter-century ago but we were too stupid to think that they might have been onto something. I could go on for several pages more with examples of why and how we managed to win the super-boofhead gold medals for pollution, for waste and for speeding up climate change. Oops, sorry Brian, for attributing your words about LP to Jumpy. I “misspoke”. (No I didn’t; I glanced instead of reading properly). Do not, repeat NOT attempt to leap through the screen. The Corporation cannot be held liable for any damage to your person or the screen which once belonged to the injured party, your Honour. His actions were inexplicable, your Honour. He was calling out “Grumpy” at that moment. Expert witnesses attested that “Grumpy” is a Disney Dwarf, and that Lewis Carroll wrote about a girl who passed through a looking glass (mirror). His Honour noted that no evidence had been presented to indicate that the injured party had ever seen that film or read that book. Damages in the amount $AUD1.00 were awarded against Lord Grumpy, who is almost certainly fictitious. Could someone, anyone, please acknowledge that if China and India don’t industrialise useing renewables then it’s rooted no matter what Australia does ? It’s quite frustrating that this is being so steadfastly avoided. Throw as many ???????? at me as you like to avoid the main point, it’s not going to change Mate. Here’s an interesting, if long, examination of the NRA. Could someone, anyone, please acknowledge that if China and India don’t industrialize using renewables then it’s rooted no matter what Australia does ? Quite right Jumpy. And, even if China and India stopped using fossil carbon altogether will be rooted unless Australia and those counties emitting less don’t stop using fossil carbon as well AND ditto those in the middle. The world isn’t going to be saved if countries all stand around doing a Jumpy and demanding that everyone else does something before they act. zoot: Well, well, there might well have been a very interesting and unusual conversation among NRA personalities after a couple of Australian political figures headed back to Australia.. Wonder why the name, Enron, keeps drifting into my thoughts after reading that ” New Yorker” article? Graham if you go to Blogroll on the LHS sidebar, click on Archived and you’ll find a link to Larvatus Prodeo in the Pandora Archives of the National Library. OTH the actual LP blog is still there protem. I think Mark has stopped paying the bill. Jumpy, it’s pretty simple, really. We’ve got 410 ppm of CO2 in the atmosphere, 500 ppm if you count the other GHG equivalents. That 500 needs to come down to 350 ppm around about 20 years ago. So what goes up has to come down. ASAP. I wasn’t demanding an answer from you. I hoped to understand your meaning of ‘rooted’. Do you think atmospheric CO2 levels have a big part to play in the future of the human race, and other living organisms? Or is attention to that measurement just a distraction from matters/issues (of which I have a list, and I reckon you would have your own list) which should have higher priority? Cardinal Pell has his appeal coming up in June. Anything could happen. Some think his conviction was “unsafe”. His former Uni may yet appeal against Judge Vasta’s findings which all went in favour of Mr (Professor?) Ridd and against his former employer. Many supporters of Peter Ridd are urging the Uni to avoid the “further wasting of taxpayers’ money” which they say would occur if the Uni lodges an appeal. My view is that any party has the right to appeal if they wish. They should take legal advice on the likelihood of success and the effort/costs involved. Cardinal Pell has the right to appeal. Mr Ridd’s former employer also has that right. Silly to urge “no appeal” simply because the result came out as one hoped for. BTW, I googled Judge Sal Vasta, who presided in the Ridd matter. 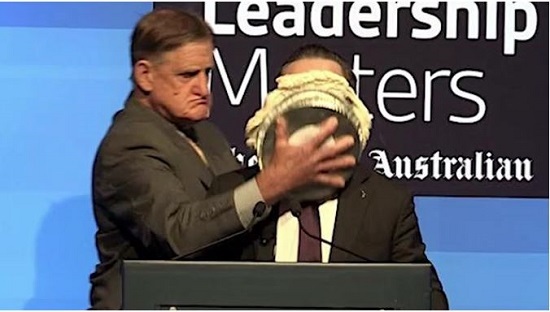 What should emerge but an AFR article headed, “Is This The Worst Judge in Australia? dated early 2019. Perhaps there may be procedural or legal grounds for appeal, apart from questions of “academic freedom”? Ambi, I was hoping Graham Readfearn would do a comment, and now he has in Comment: Judge in Peter Ridd Case Says Trial Was Not About Climate Science or Freedom of Speech. The trial “was purely and simply about the proper construction of a clause in an Enterprise Agreement”. I’ve got a few other items about the GBR, so I’ll do a post when I can. Does anyone know ( probably JD ) when the AEC can show us the final Senate ballot paper ? Probably worth calling the AEC if you’re really desperate. But nominations don’t close until Tuesday (23 April). Jumpy: Auntie google supplied the key dates for the election. From my point of view the key date is Mon April 29 when prepoll starts. Brian: The common thread of both the Kidd and the Falou cases seems to be employers wanting to shut employees up to please potential sponsors even if there is no evidence that sponsor contributions would be affected. In the case of Falou my take is if he honestly believes that drunks etc. will go to hell unless they repent and change their way of life he has a moral responsibility to at least warn those who are on their way to hell. I might have a different view if Folou was actively vilifying people that didn’t conform with his personal code of conduct and do accept that, if I worked for Adani, it would be reasonable to sack me if in my other life I was an active and public anti Adani campaigner. If the Ridd case was decided strictly on the terms of employment, is that a guide which tells anyone interested to look at Folau’s employment contract, clause by clause? Does the Adani company require particular areas of public silence from its employees ? There are plenty of very particular restrictions on communication, e.g. “insider trading laws”, commercial secrets – not to be passed on, confidentiality in medical, legal contexts etc. But expression of religious, scientific opinions and beliefs??? I recon Falou should sue the ARU for as much as possible. Teach them that every time they cave to SJW Twitter outrage it can cost them a motza. Also look into whether any media or sponsors may have 18Ced him and throw that back at them. Not whether I said it further up. but I believe Folau’s contract had a social media clause in it, which he declined, so I understand it was left out. Jumpy: Agree with what you say re Folua and his employee/contractor rights issue. Employers, sponsors etc. need to be pushed back a bit. On April 18th at 10.12am, you pointed out that Mr Folau’s draft contract had a clause restricting his use of social media, but he rejected that clause explicitly, when signing up. It appears he is free to opine. I agree with JohnD and Jumpy. It’s amusing in a sad way, when an organisation thumps it’s chest and proclaims that it is “inclusive” and uses this as a reason to exclude someone. It is not just about employment contracts but also about what restrictions can be placed in employment contracts. It is a tricky subject. In the Folou case there is a point where his well meaning warnings about going to hell morph into vilification or an urging of others to take unacceptable action against others. I started getting letters to the editor published in the sixties. Over the years I had to show some self discipline about what I wrote and what I said. (For example, I didn’t write about industrial relations when I had jobs that involved industrial relns because the brothers might have thought i was stating company positions rather than my personal views. Also very careful with data. Often the things that might help an astute competitor are not obviously so. Never worked for Adani but it is self discipline that would have made me careful about what I said and did outside of the workplace. I don’t know but Ridds contract would most likely be a generic one on a “ take it or leave it “ basis. I do recon that if I sacked either for the same reasons ( not that I would ) , and a case was brought against me, then I’d be in financial doodoo to the point of homelessness for my wife and I.
I see a lot of media bullying begetting corporate bullying nowadays, it’s not good. Thankful both Falou and rid had a form of freedom of speech clause in their contracts. I meant to refer to restrictions that can be put in a contract. In Mr Ridd’s matter, it was the EBA governing employees and the Uni. Mr A, I’d think it was a “ take it or piss off “ type of contract. Nothing wrong with that for a free market enterprise but JCU is not that it’s a public servant, they don’t pay for their misdeeds or errors, taxpayers do. Once Mr Ridd or Dr Ridd or Prof Ridd had a full-time, permanent academic position, he, like most of his academic and non-academic fellow employees, would have to accept each new EBA (every three or so years?) or nick off. But if Judge Vasta has ruled correctly that the EBA allowed freedom of speech and writing, what did that Uni think it was doing in disciplining, then dismissing him? Your employee could be in a similar position if she lost and had to pay costs. Ironically if she won and the costs were awarded she would still be out of work because the business was shut down because of the costs. Unfortunately things like the unfair dismissal procedures were brought in to help reduce strikes involving big business and big unions and don’t take enough account of what the effects on small business would be. The biggest mine I worked for would lose over a million dollars from a one day strike. We could afford to do a lot of stuffing about to avoid a day’s strike. who will Ridd me of this troublesome professor?? Awarding of costs….. one of the little trapdoors lurking in our legal system. I don’t know anything about University hierarchical systems Mr A but the permanents seem to think they are just that. I hear there’s a type of academic that think their job has been made their property somehow and it can’t be taken away no matter how nonproductive or counterproductive they are. Jumpy: In the past university academics had permanence. Once considered important for universities because it protected people who had an opinion from forced to say that they supported something they didn’t support. Temporary positions, short term contracts and other symptoms of education as a business has meant that permanence is less common and the fidelity of universities undermined. The biggest mine I worked for would lose over a million dollars from a one day strike. We could afford to do a lot of stuffing about to avoid a day’s strike. I remember working in Moranbah around 1979ish when my bosses ( scum contractor, local tradesman town maintenance ) sisters ( unemployed) boyfriend ( mine employee) punch his foreman in the face and the union went on a 3×1/2 day strike over 9 days to keep his job. He never misses a pay. The power drain from restarting those draglines must have been huge given even the TVs shut off for three hour every time. Lost production and money for the shareholders I couldn’t tell you. Oh, and BHP were involved but I can’t remember if Utah still were. Once considered important for universities because it protected people who had an opinion from forced to say that they supported something they didn’t support. All because Australia doesn’t have freedom of speech written into the Constitution. It’s possible we could change that. Does anyone remember the famous Simon- Ehlich wager ? Are you referring to the bet where Julian Simon challenged Paul Ehrlich to choose any raw material he wanted and a date more than a year away, and he would wager on the inflation-adjusted prices decreasing as opposed to increasing. 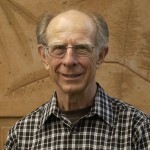 Ehrlich chose copper, chromium, nickel, tin, and tungsten. The bet was formalised on September 29, 1980, with September 29, 1990 as the payoff date. Ehrlich lost the bet, as all five commodities that were bet on declined in price from 1980 through 1990, the wager period. Brian: Thanks for that archive link for LP – shan’t be able to use it for the next fortnight though. Jumpy: Senate ballot paper? AEC can’t release it until challenges of unfair competition from Sorbent and Kleenex, concerning its length. are heard. b.t.w. Just imagine how the quality of our parliament would improve if voters had to fill in just one single square: That for their one and only favourite Senate candidate, and the counting was strictly First-Past-The-Post. The first 3 Senators would be a given – but wouldn’t filling the remaining Senate seats be a real barrel of laughs? Okay, so what is the essential difference between Shut Up clauses (actual or implied), together with the looming threat of Court Costs, in employment contracts Australia nowadays, on the one hand, and the bog-standard social controls of any old dictatorship on the other hand? A dear lady, who had been a young upper-class political activist during the Salazar regime in Portugal, made it crystal-clear that very little of the control over the populace was by the stereotypical gun, jackboot and truncheon. That did exist and it was used, of course, but only rarely. Most of the oppressive social control was more nebulous and pervasive, such as we see now with our Shut-Up clauses and the threat of ruin by Court Costs. Welcome to happy, glorious, democratic Australia. Shall be away for a fortnight or so. Hope everyone continues enjoying these stimulating and informative discussions. Cheers. Thanks for the info, Ghost zoot. Rising atmospheric CO2 vs. lower atmospheric CO2. We’re all signed up to the bet. Reminds me of that old Cold War bet: global nuclear war and vapourisation or radioactive catastrophe afterwards vs non-nuclear wars and consequent bloodshed. Everyone signed up to the bet, including those humans sincerely opposed to gambling with their childrens’ lives. Ambi: Your wrong to talk about gambling kid’s lives when it comes to climate change. Gambling implies at least some chance of winning. Correct: nothing like Ehrlich vs Simon. Graham: elections as a “barrel of laughs”? Look you at Ukraine: the comedian seems to have won! Look you at the US: the Intemperate First Tweeter won.